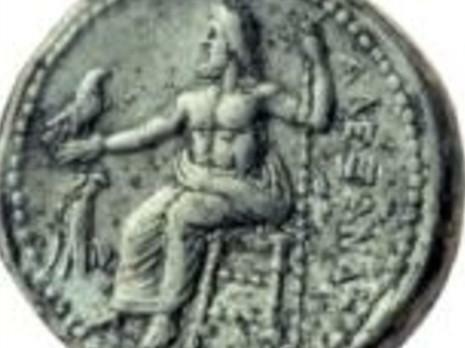 A coin from the time of Alexander the Great is the rarest of the coins – one of a kind in the world - a silver covered bronze coin upon which is depicted the figure of a sphinx that was apparently brought from Cyprus. 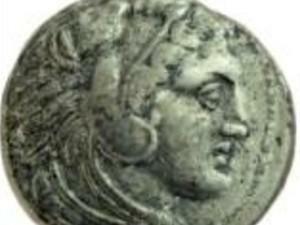 No similar coin of this specific type is known. 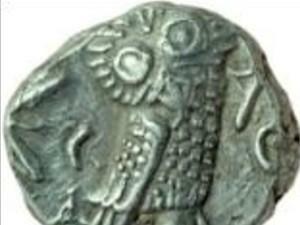 On another silver coin - a tetradrachma (four drachmas), that is a relatively large coin, there is displayed on one side the head of the goddess Athena and on the other side a raptor from the owl family and the name of the city of Athens in Greek. This coin served like the dollar - the currency par excellence - in the fourth and fifth centuries BCE throughout the ancient Near East.